As more and more people choose to give online, there are many more individuals looking to take advantage of your charitable contribution. 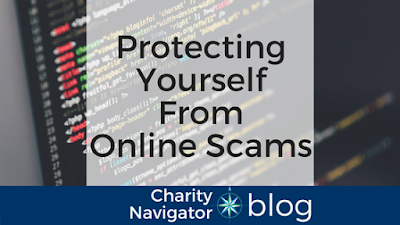 There are scammers who steal both your donation and your personal information. 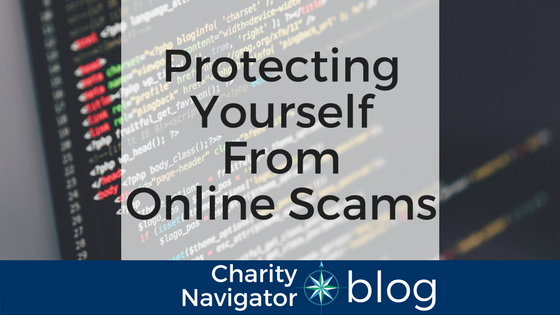 Charity Navigator is breaking down some helpful tips for you to protect yourself and ensure that your donation has the most impact. If it’s a foreign prince emailing you for your money, or even an organization asking you to send funds to a foreign bank, don’t send your money. If you haven’t received emails from the address before, don’t open the attachment! It’s not normal for most organizations to include attachments if you haven’t been in direct correspondence with them. If there’s something they want you to see, they’ll direct you to the information on their website. The attachments themselves are probably viruses. If you’re receiving an email from a charity, chances are you’ve provided them with some of your contact information, even if you’ve just filled out a survey or signed an online petition. You can inform the organization that you don’t want to be on their list if you opt out. Email is helpful for a lot of organizations to get in touch with you and to inform you of their latest updates. If you have any doubt about the email you’re receiving, it’s always best to go directly to their website instead of clicking the links in the email. If you haven’t heard of the charity before or haven’t supported the organization, watch out. It might seem like an official email but could be a scam. If you’re interested in learning about the organization, check out their rating on the Charity Navigator website. Sometimes, Google results have a fraudulent website which might seem very close to a legitimate charity’s website. Check out whether the address ends in .org (most organizations will end with this, instead of .com). If the web address has a series of numbers or ask you for your detailed personal information, do not proceed further! Let social media guide you, but still do your research! A lot of social media networks will have requests for donations, but still make sure to investigate the groups behind the asks to ensure that it comes from a legitimate nonprofit.